People usually plan visiting iconic temples and cathedrals, grand mosques and Buddhist monasteries while travelling. We had no such plans when we were heading out to Indonesia. All we wanted to do was dig our heels in the white sand beaches of Bali and laze around by the sea. That is when a friend suggesting adding the town of Yogyakarta on the island of Java to our itinerary and attend the Ramayana Ballet at Prambanan Temples. Little did we know that Valmiki’s tale of Lord Rama narrated in Javanese was the biggest attraction of the town that drew tourists from across the globe since 1961. A quick research and a communication with the national tourism authority of the two temples - Borobudur and Parambanan - informed us that Ramayana Ballet was first performed on the full moon night of August 25, 1961 and since then 200 artistes have been rendering a musical version of this Hindu epic ever since. 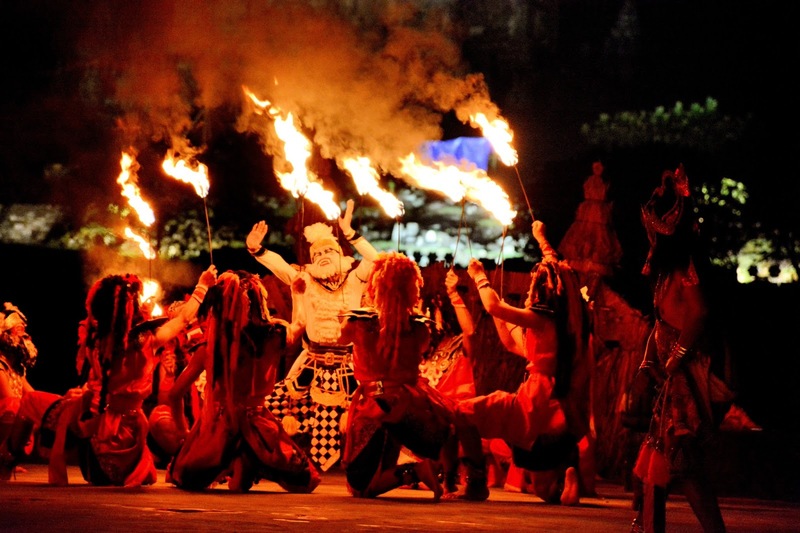 The first performance was attended by the then President Sukarno and has since gone on to host countless shows and treat thousands of tourists from across the globe to a unique rendition of Ramayana replete with local dance, costumes, make up and music. In 2012, the ballet was named in the Guinness Book as the most continuously staged play. Such has been the popularity of Ramayana Ballet with Parambanan Temples, the largest temple in Indonesia that it is rated by many visitors as one of the most unique and must attend experiences across popular travel sites. The three temples dedicated to Shiva, Vishnu and Brahma at Parambanan were built in 9th century and are Indonesia’s cultural heritage icons. They are a UNESCO World Heritage Site and along with Buddhist Borobudur temple are the biggest travel attractions on Java Island. The performances are held either in open theatre or inside the indoor theatre Tri Murti from 7.30 pm onwards every alternate night. It is best to check the schedule before heading out. Tickets to the show are easily available though you can book them in advance as well. The show is divided into four episodes - The Loss of Dewi Sita, Hanoman the Messenger, The Death of Kumbakarna and The Holy Fire of Dewi Sita. The story has Javanese influences and local interpretation. But the entire narration is a vibrant ballet high on innovative lighting, bright costume colors and local orchestra’s music that leaves visitors hooked. In 2012, the ballet was named in the Guinness Book as the most continuously staged play. The play and the setting is a tribute to Indonesia’s cultural heritage where two prominent Hindu and Buddhist temples exist near each other in a Muslim majority country. The cast of the ballet too is predominantly Muslim. 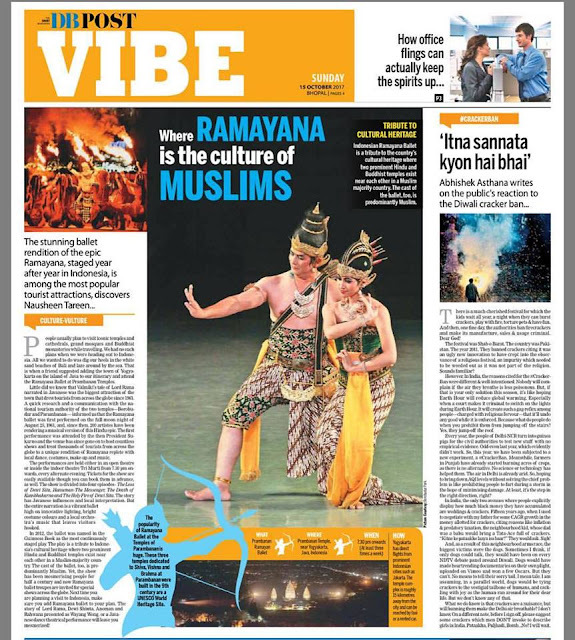 Yet the show has been mesmerizing people for half a century and now Ramayana Ballet troupes are invited for special shows across the globe. Next time you are planning a visit to Indonesia, make sure you add Ramayana ballet to your plan. The story of Lord Rama, Dewi Shinta, Anoman and Rahwana presented as Wayang Wong or Javanese dance theatrical performance will leave you mesmerized! How: Yogyakarta has direct flights from prominent Indonesian cities such as Jakarta. The temple complex is roughly 15 kilometers or a 40 minutes’ drive away from the city and can be reached by a taxi or a rented car.